After anxiously waiting in the online queue for what felt like hours, you finally snagged those tickets to the hottest show coming to San Diego. We will call him “Truce Ringsteen”. Once you are done celebrating, it is time to figure out how to prepare for the concert of your life. Concerts are one of the common causes of tinnitus in San Diego. To understand why, first you need to understand how loud noises can harm your hearing. Anything over 85 dB can damage the intricate inner workings of your ear. To put this into perspective: a normal conversation clocks in at about 60 dB, traffic in San Diego can be about 85 dB and the sirens on an emergency vehicle can reach 120 dB. Now, just to be clear, an ambulance zooming past you on the freeway won’t damage your hearing. Noise induced hearing loss only happens when something is incredibly loud, such as an explosion, or you are exposed to any sound over 85 dB for an extended period of time. Sounds like a concert to me. Much like noise-induced hearing loss, tinnitus is caused by damage to the inner ear. Inside the inner ear, there are small hairs. Sound waves cause these hairs to move, and these movements send an electrical signal through the auditory nerve to your brain where it is interpreted as sound. If these hairs become damaged, they can randomly send electrical impulses to your brain, causing tinnitus. Age-related hearing loss, exposure to loud noise and earwax blockage are all common conditions that cause inner ear damage. The good news is there is an easy solution. Earplugs! Seems almost too simple. Fortunately for you, you had to buy your Truce Ringsteen tickets far in advance. This give you time to visit your San Diego audiologist to be fitted for earplugs. While there are a wide variety of earplugs on the market, the best ones are the ones that are expertly fit to your ear. Musician’s earplugs are the ones you will need. These custom earmolds are able to reduce sound levels evenly so music and speech sound clear. These plugs prevent dangerously loud sounds from entering the ear but still keep the integrity of the music intact. Don’t let the concert of a lifetime leave you with a lifelong condition. 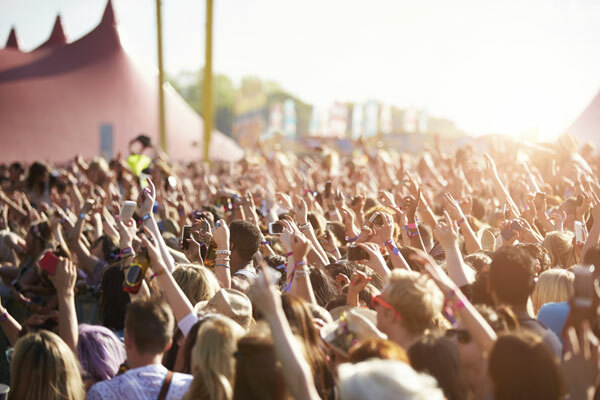 Contact your San Diego audiologist for more information on how to safely attend a concert.